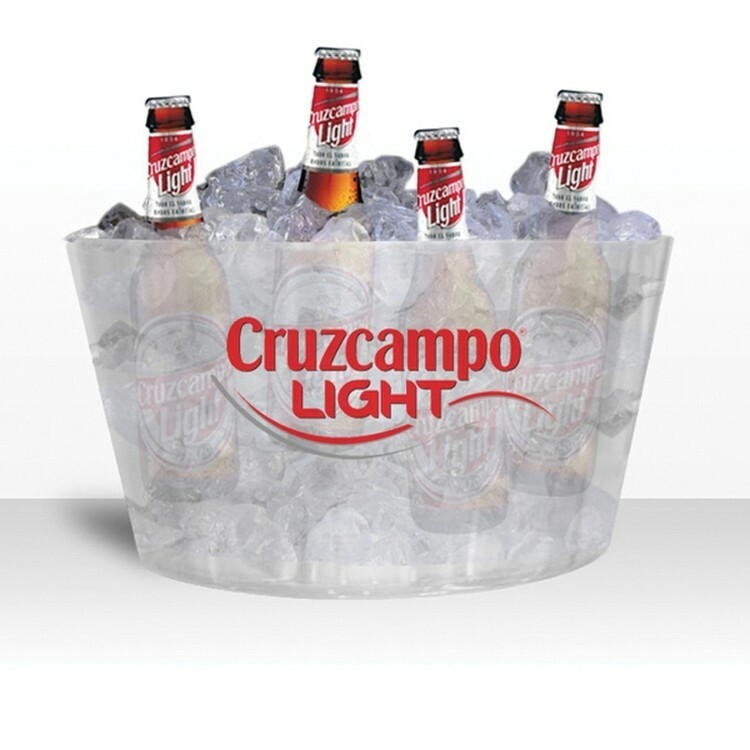 Translucent Bar Ice Buckets. This large ice bucket for wine, champagne or beer beautifully showcases your companies name or logo. This container features a frosted color that allows you to see how much ice is left, so you're never without. Size 2 gal.